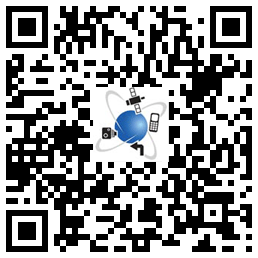 Memory-Map are getting ready to launch their latest mapping system on Android SmartPhones. This is the latest evolution of the tried and trusted map viewer, route manager, waypoint manager, and track recorder we have been using for ten years or so. You can download the app from here. You can also take advantage of the QR reader feature that a lot of phones have nowadays and scan in the QR Code on the right. I gave the app a quick once over today and will be looking at it in more detail in the coming weeks. 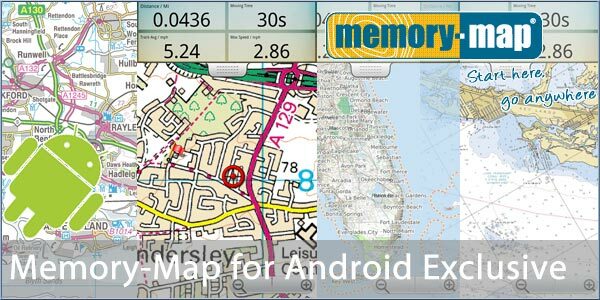 Suffice to say Memory-Map is quite intuitive to use, and if you still have some 'old tech' Memory-Map V5 PC mapping data still around then these can be loaded onto your Android device by purchasing the Classic Map Compatibility option. As you may have noticed in other news we are having a Bumper Bag of Goodies competition for Christmas. Memory-Map have kindly donated a copy of Memory-Map OS Landranger GB 1:50,000 maps worth �100. These can be used on up to 5 devices owned by the user. Memory-Map� Free turns your Android Smartphone or Tablet into an outdoor GPS and allows you to navigate with Ordnance Survey� and many other topo maps, marine and aviation charts. Over 250,000 customers already use Memory-Map on their PCs, GPS and Smartphones. The App retains Memory-Map�s famous ultra fast dynamic map scrolling but adds new features to make it even easier to see and use full colour detailed maps in the outdoors. Walking, cycling, marine, aviation, 4x4, or whatever your outdoor passion, Memory-Map has the additional maps and charts you need. Available to purchase from your favourite retail store or directly from your phone using Memory-Map�s Digital Map Shop. Use the free base maps included with this App or purchase maps through your phone using the Memory-Map Digital Map Shop� range of cartography. If you are already a user of Memory-Map's PC software, and you want to load your existing Memory-Map v5 maps, just purchase the 'Classic Map Compatibility' feature and you'll be able to load your QCT maps to your phone. Plus many more maps and charts from around the world including USA, Canada, New Zealand, Australia, South Africa. one mention is from this site and the other in relation to iPhone. to use WM6.5 as my daily OS. setup of WM6.5 + Ice Cream Sandwich 4.0 and go native NAND 'droid. Maybe. It'd certainly make my transition more likely. Of two mentions of "Classic Map Compatibility option" searchable via google, one mention is from this site and the other in relation to iPhone. If you buy "license-managed" maps or "download credits" from their Digital Maps Shop (.QC3 file format) then the App is free, but to use MM maps which you already own (.QCT file format), you need to buy a "Classic Maps" license. Further, to use maps not originally sold by MM, e.g. scanned/copied/calibrated with the PC software, you need a "3rd Party Maps" license (previously called a "Navigator" license, or a "Discoverer to Navigator upgrade"). The Android App is currently available in Beta form and you can get a free 30 day trial license (which needs to be "reset" each time an update is released). More details on the Memory Map forum here. Ah, many thanks for that. Sometimes the wrong search terms can lead one down a dead end. You also need Android 2.2 software. Another app that willnot run on my Hero! Tomtom Go 6200, Tomtom GO Android app, Garmin GPSMap 62stc, Memory map V5 & V6, Nexus 5, CamerAlert, Copilot Premium, MM Tracker. I'll give it a go later, see what happens. Yeah, the link is still broken, it just takes you on a happy merry go round back to PGPS Website. The 'droid version of MM is rubbish, the licensing options are a joke considering as a tax payer I contributed to the creation of the data. As a customer I bought a complete set of 1:50k and 1:25k and now I'm expected to fork out again because I want to use a different OS on my phone to access data which I've paid for twice already. Don't blame MemoryMap, it's not their fault. Ordnance Survey put the most ridiculous restrictions on the license for companies and individuals who use the data.